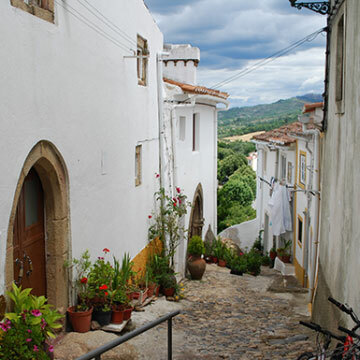 Incredibly picturesque, this small village of Alentejo named Marvão is known for its castle. 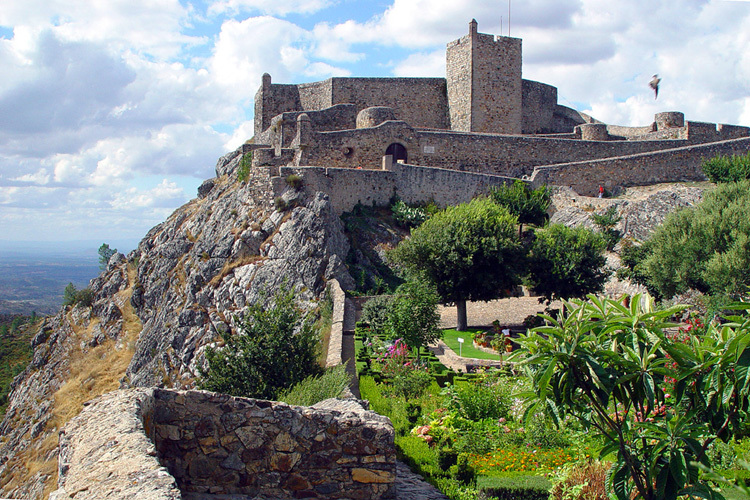 One of the most beautiful castles in Portugal, it’s located on the top of a mountain and preserves all of its charm from the past. 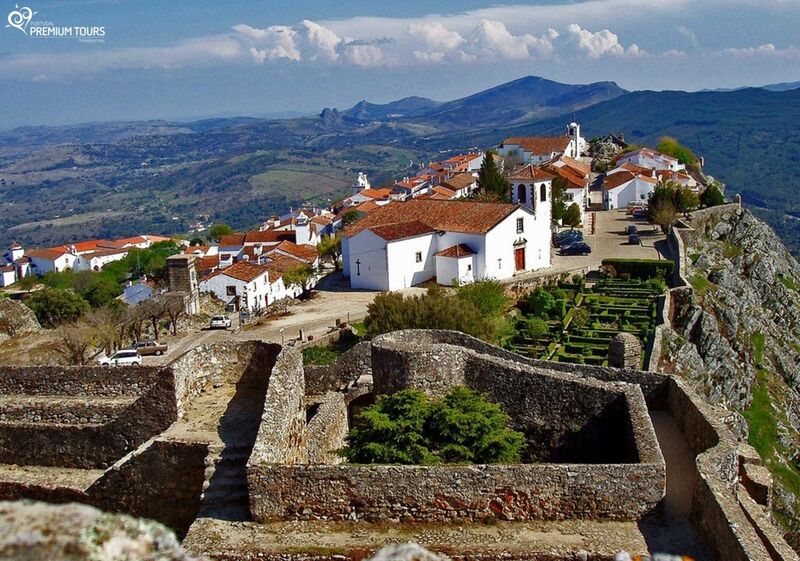 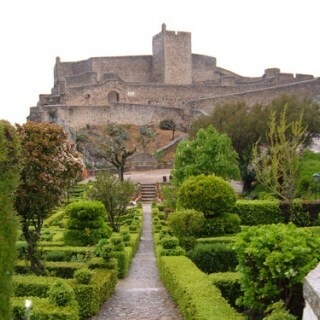 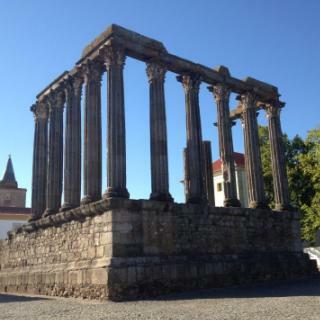 Come travel in time and admire Marvão’s beauty with Portugal Premium Tours! 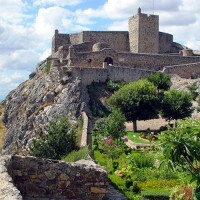 Dates back to the 12th century. 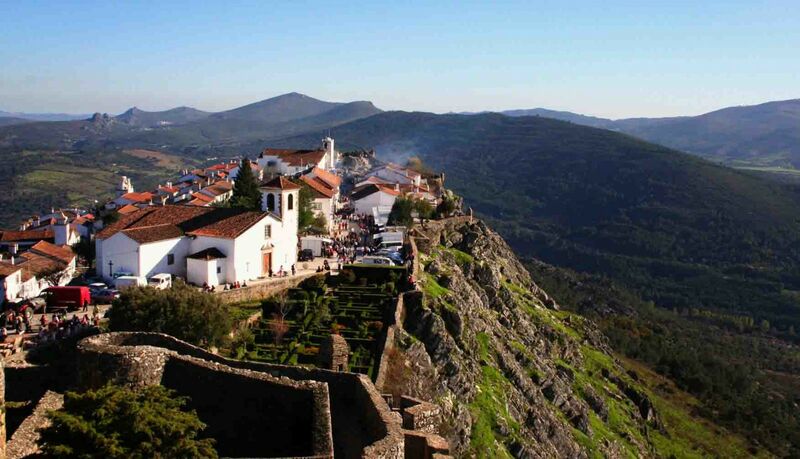 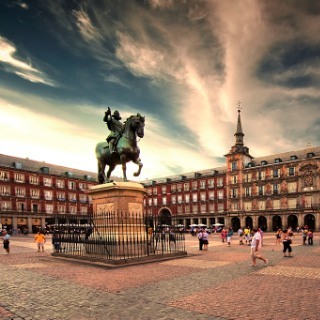 It’s admired for its location on the top of a mountain and for its stunning scenery. 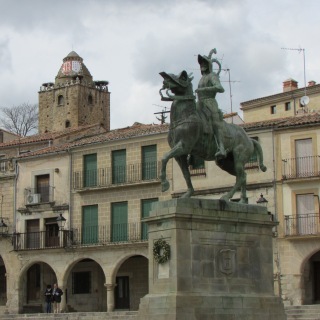 An interesting religious bulding from 1448. 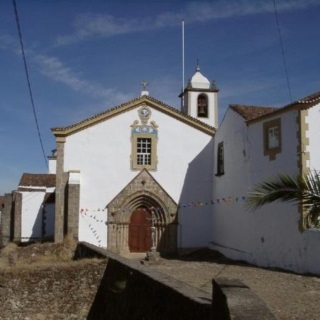 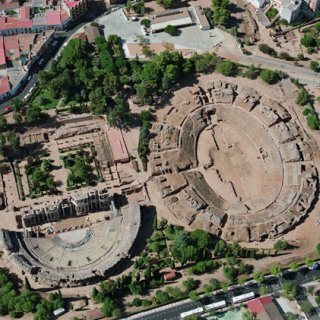 It allegedly originated from an apparition of Virgin Mary. 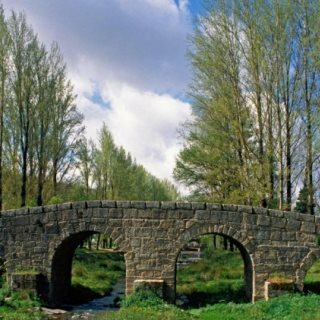 It’s probable that this bridge has Roman origins and that resources from the former bridge were used for this structure. 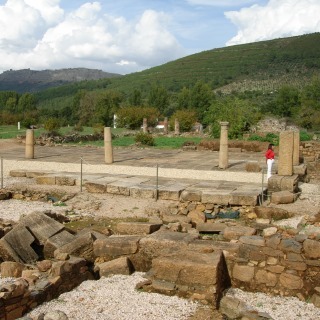 In the heart of the Natural Park you can find traces of the Roman city of Ammaia with great archeological value. 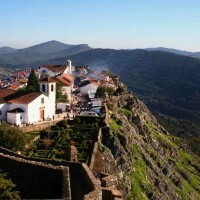 Marvão has several megalithic monuments. 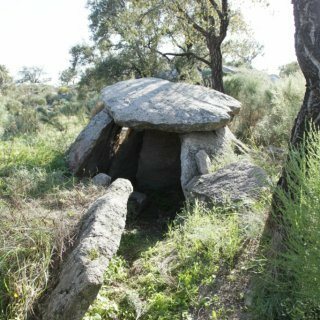 Make sure to discover the local menhirs and dolmens. 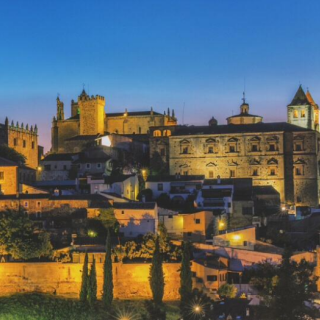 The castle’s breathtaking landscapes are the perfect place to enjoy a unique sunset. 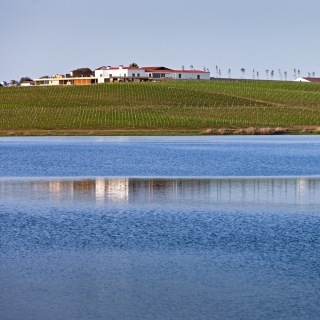 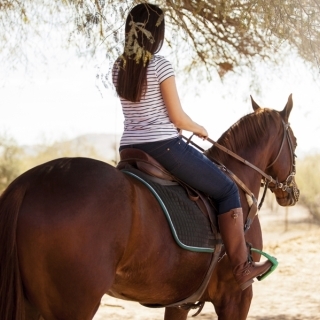 Get to know Alentejo and São Mamede Mountain Natural Park’s beauty with a horseback ride. 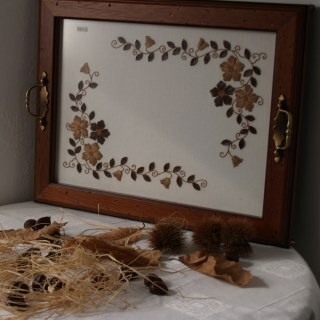 The chestnuts trees are highlights with the beautiful wooden baskets and the chestnut peel embroidery. 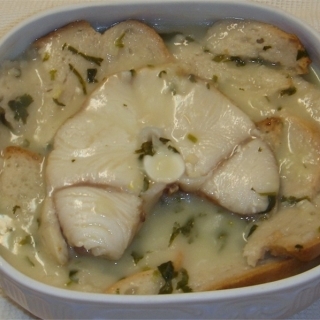 The flavors of garlic and dogfish come together in this tasty traditional dish. 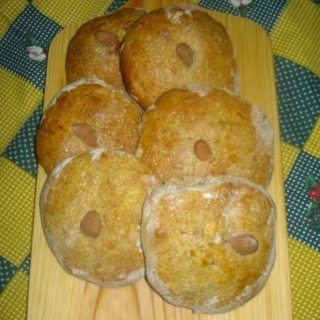 A traditional regional pastry, its dough is kneaded by hand and they’re decorated with an almond.